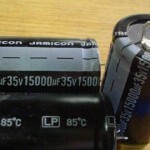 Jamicon announce new range extensions to their large can electrolytics incorporating market leading technology. suited for Audio and Professional applications. They are available with snap in, PBC and lug terminations to suit customer requirement.